One week passed by in a blink. Felicia and Elkan flew back to Singapore yesterday afternoon. Despite their short visit, they have made so much difference in my life here. For the better of course. Felicia overhauled the settings of the house and tidied my entire bedroom and kitchen. Overnight, she managed to rearrange the items and cleared more space for us. Elkan added a few more markings & doodling on my clean white walls and shower room glass. He was the opposite of Mummy. He messed up the living space with his toys and dirty laundry. Strangely, I started to enjoy his noise and mess. Perhaps, these are the essential characters of a family. A home. 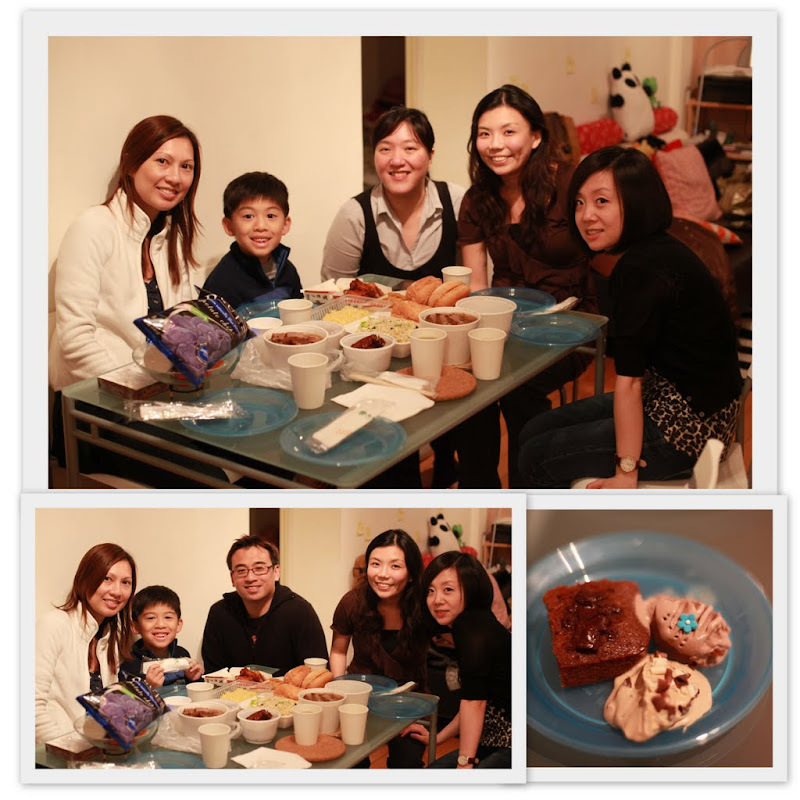 On their last night here, Kit organised a mini dinner gathering at her house. She made us very delicious home-made ice cream dessert. She shouldn’t be a lawyer, she should open up her own ice-cream joint by the beach. Harshad joined us for lunch on their last day. 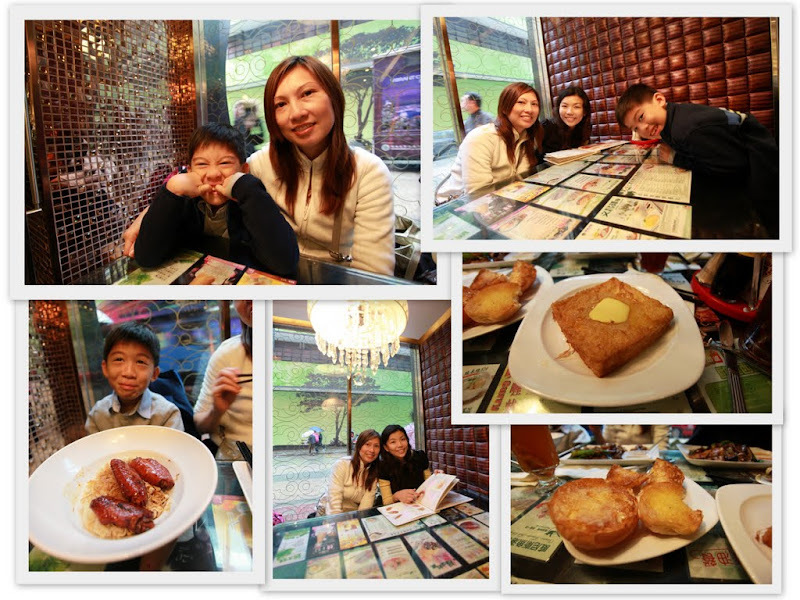 We went back to the “茶餐廳” (Hong Kong Cafe) again as Elkan and Felicia had cravings for their favourite local dishes (dark soya-sauce chicken noodle and french toast). On our way to the airport, we found a florist selling the popular Facebook’s icon “I Like” cushion (at HKD68). We bought it immediately and we spent our 20-minute train ride taking photographs with it! When it was time to say goodbye, it was only hugs and kisses. No teary goodbye this time cos’ we know we be seeing each other really often. We are already looking forward for our next reunion in May and June.